Matt Taylor and Caroline Cann preview the game on Sunday against the Texans and take fan questions from Facebook Live! Matt Taylor and Caroline Cann preview Sunday's game by taking fan questions on Facebook Live! Matt Taylor and Caroline Cann get your primed and ready for the big matchup on Sunday against Miami. Matt Taylor and Caroline Cann break down what the Colts must do on Sunday to topple the Titans in week 11. Matt Taylor and Andrew Walker get you primed and ready for the Colts and Jaguars' tilt on Sunday in week 10. Caroline Cann and Matt Taylor take fan questions regarding the Colts at the halfway point of the season. Caroline Cann and Matt Taylor tell you everything you need to know heading into week 8 on today's Horseshoe FAQ Podcast. 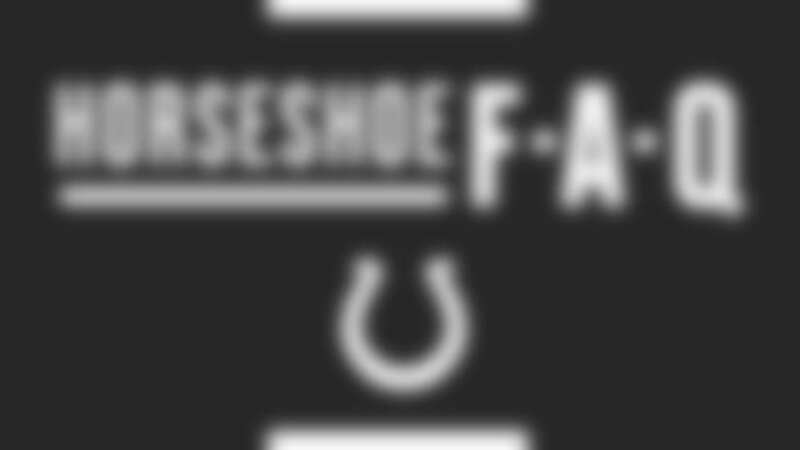 Caroline Cann and Matt Taylor break down all the ways the Colts can snap their four game losing skid on today's Horseshoe FAQ Podcast. Caroline Cann and Matt Taylor take fan questions from Facebook Live regarding the week 6 matchup with the Jets! Matt Taylor and Caroline Cann recap the loss to the Patriots and take questions from Colts fans on Facebook Live! Caroline Cann and Matt Taylor preview the Texans on Sunday, and take questions from fans regarding the matchup. Matt Taylor and Caroline Cann get you ready for week three in Philly on this week's Horseshoe FAQ podcast. Caroline Cann and Matt Taylor take questions from Colts fans on Facebook Live regarding week two in Washington. Matt Taylor and Caroline Cann take fan questions heading into the season opener on Sunday against Cincy! Matt Taylor and Caroline Cann discuss the roster competition heading into the final preseason game on this week's Horseshoe FAQ. On this week's Horseshoe FAQ Podcast, Caroline Cann and Andrew Walker break down the preseason so far and take fan questions from Facebook Live! Andrew Walker and Caroline Cann discuss the first week of training camp, and take questions from fans on Facebook Live! Caroline Cann and Matt Taylor preview OTAs starting next week, and answer fan questions on Facebook Live on this week's Horseshoe FAQ Podcast. 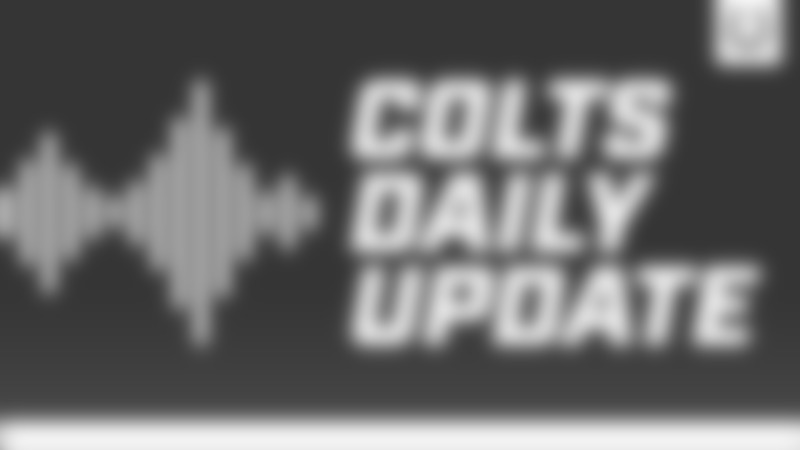 On this week's Horseshoe FAQ Podcast Caroline Cann and Matt Taylor break dow the mismatches the Colts can create on offense. They also take fan questions on Facebook Live! On this week's podcast, Caroline Cann and Matt Taylor recap the 2018 Draft, and discuss how many starters will come from that group.  On this week's Horseshoe FAQ Podcast, Matt Taylor, Andrew Walker and Caroline preview the NFL Draft starting tomorrow, and take questions from fans on Facebook Live. Caroline Cann, Matt Taylor and Andrew Walker preview next week's NFL Draft, play a fun game of Truth or Dare and take questions from Colts fans on Facebook Live. The weekly Horseshoe FAQ Podcast returns with Caroline Cann, Andrew Walker and Matt Taylor. The crew discuss Andrew Luck’s comments from Monday, who the Colts are targeting in the draft, and take fan questions from Facebook Live. Matt Taylor, Andrew Walker and Caroline Cann host another installment of Horseshoe FAQ. They discuss if the Colts should trade back from the sixth pick in the draft, and take fan questions on Facebook Live. Caroline Cann, Matt Taylor and Andrew Walker talk about the needs the Colts still have on the roster, and take fan questions from Facebook Live.